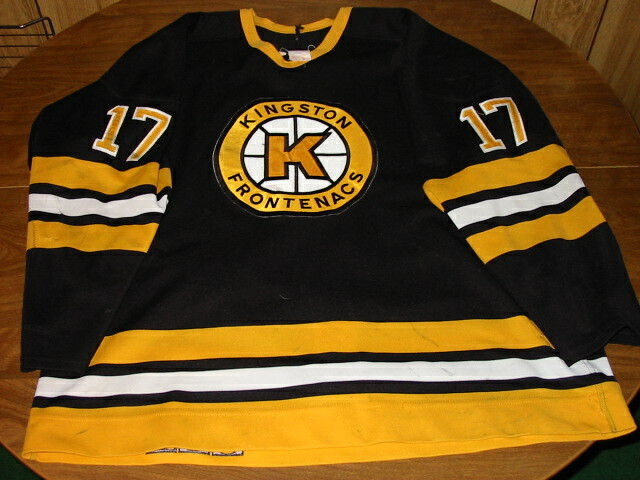 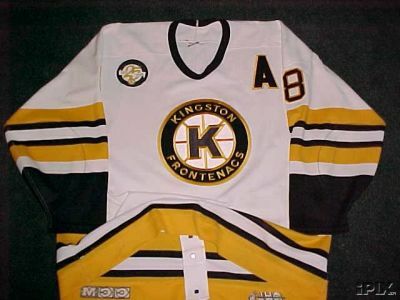 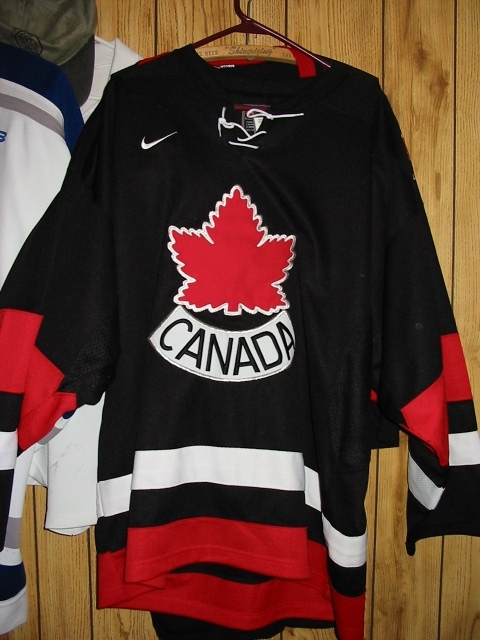 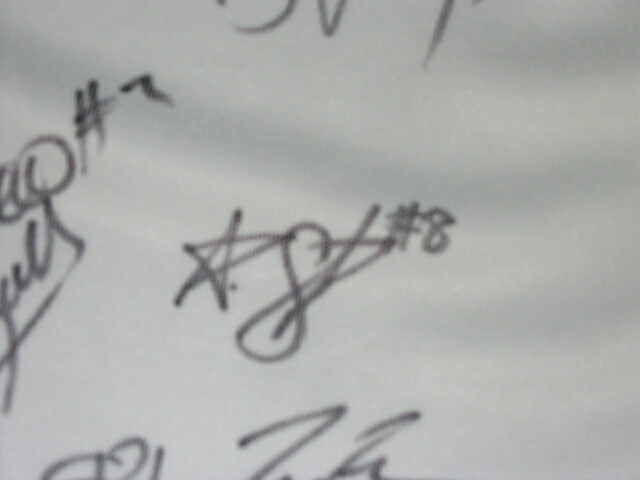 Game worn junior jerseys often come without name bars or patches sewn on the jersey since the clubs remove them almost immediately when the season is over. 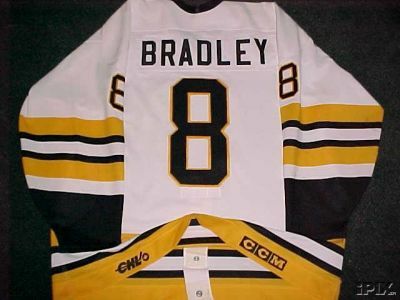 The Matt Bradley jersey below bought through Ebay came with the patches attached but the 25 year patch is in the wrong spot. 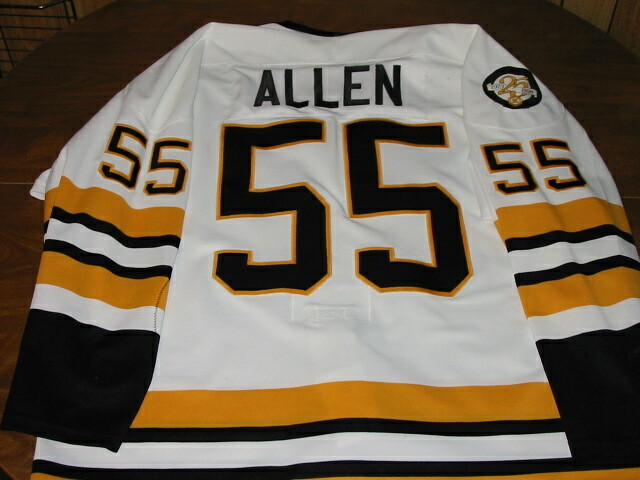 It should have been on the right shoulder as on the Chris Allen jersey. 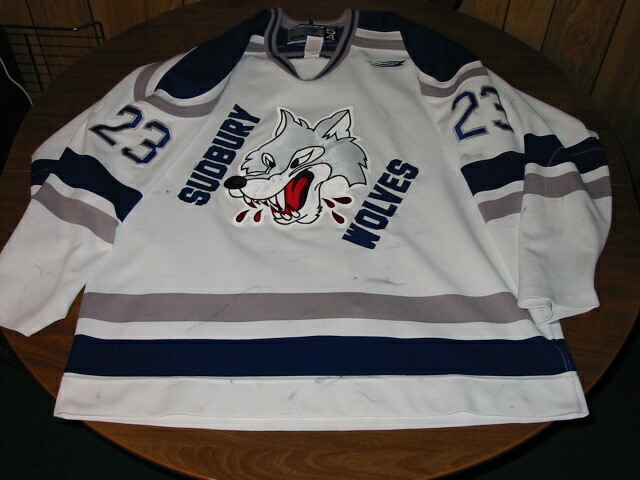 The other jerseys in here I had to sew the patches on my self. 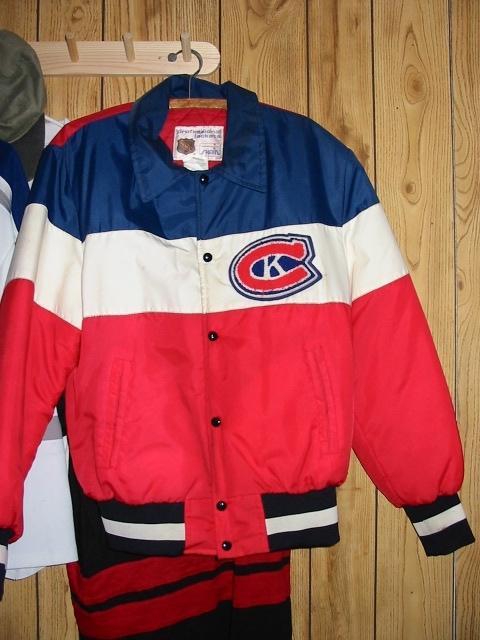 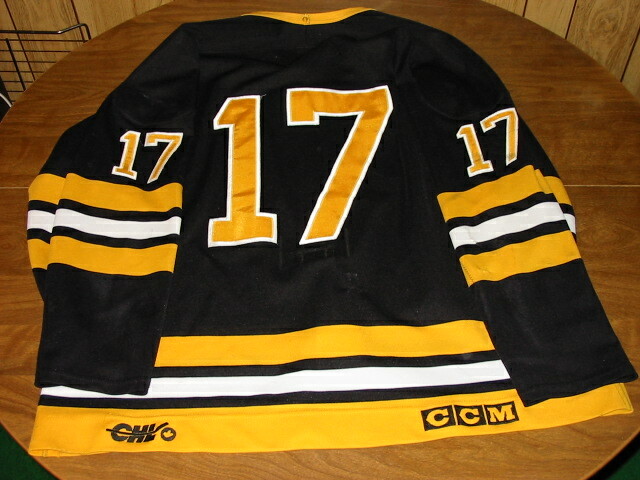 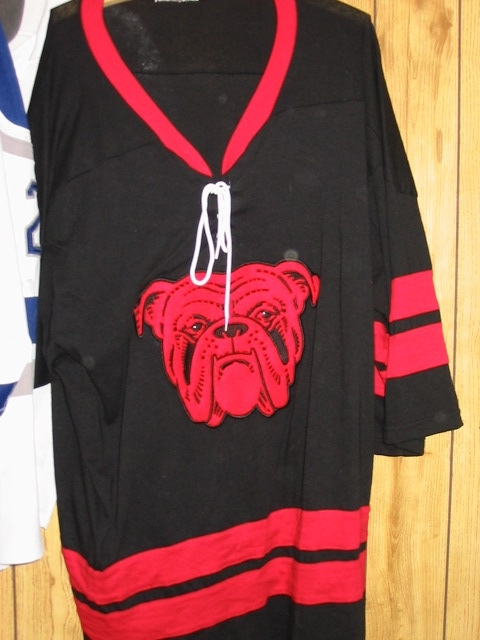 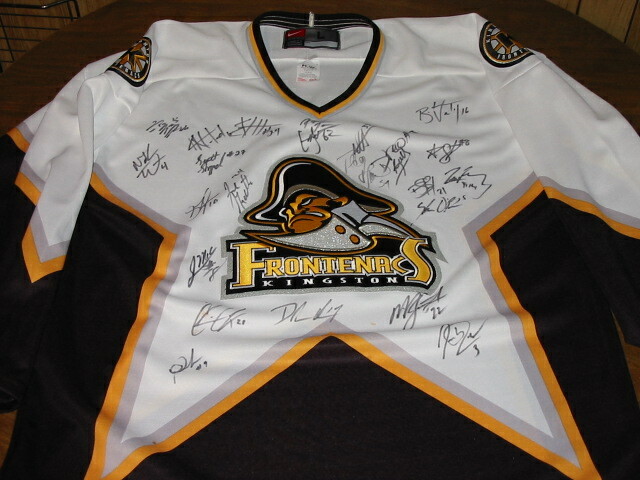 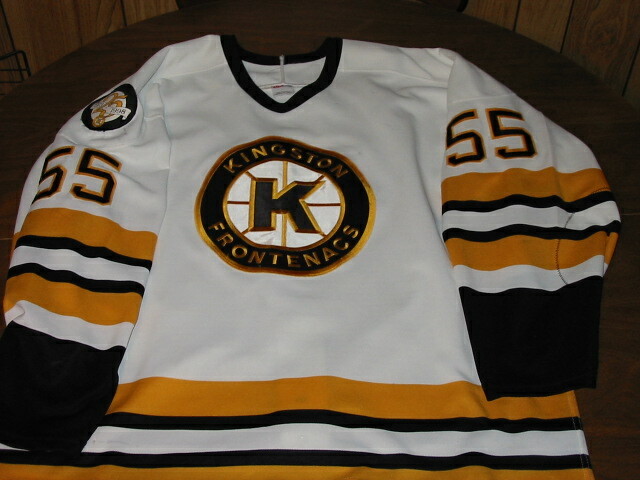 It is a CCM size 54 worn during the 1997-1998 season. 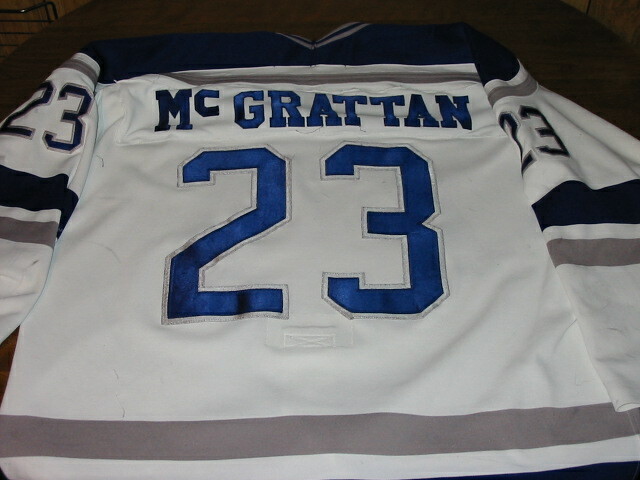 Born May 8 1978 -- Chatham, ONT. 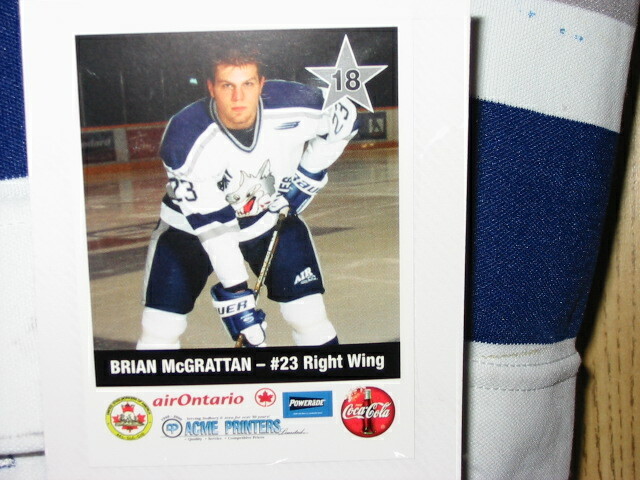 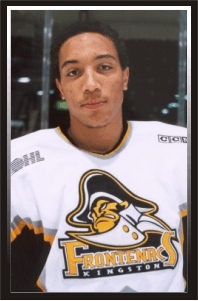 Born Sep 2 1981 -- Hamilton, ONT. 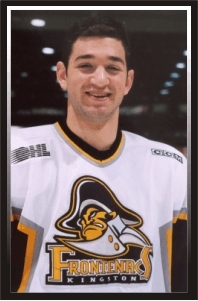 Holy Crap - How old is that? 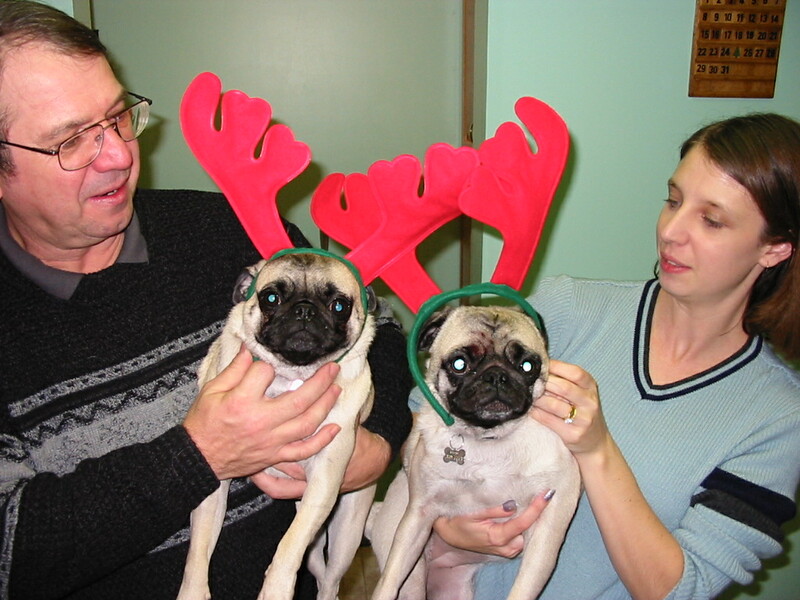 Oh my God - why do they allow this kind of crap on the internet. 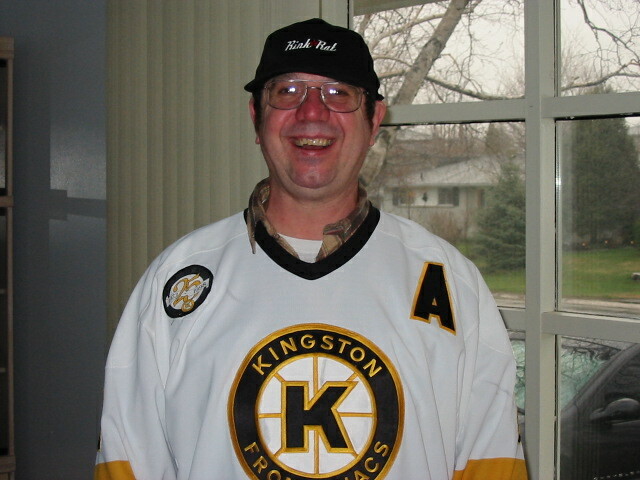 Hey that is a RinkRat Hat - Where is the Tilley? 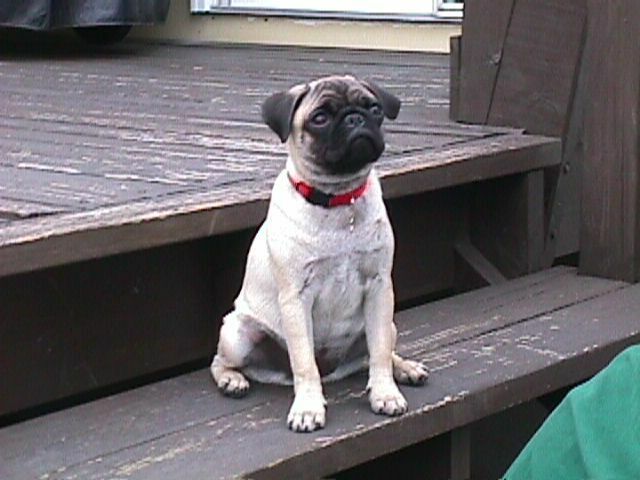 The sad part about this unfortunate creature is - he is sober.